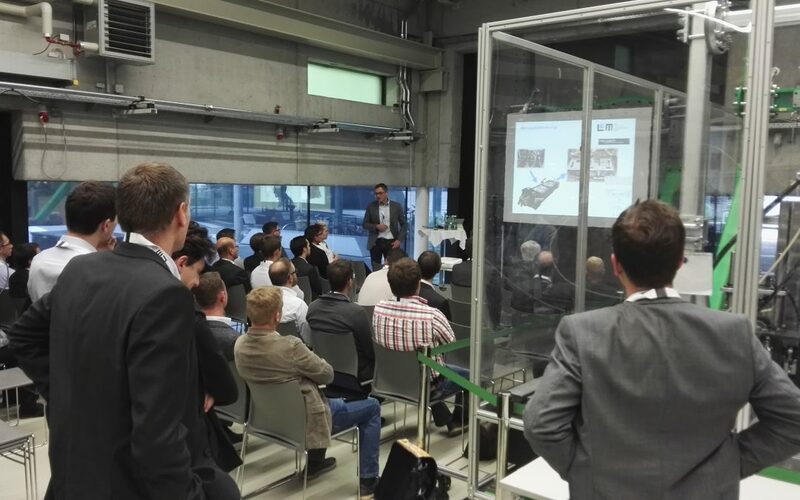 On September 21, 2017, the event Hydraulic Drive Engineering TODAY and TOMORROW together with BOSCH Rexroth took place in the laboratories of the Linz Center of Mechatronics (LCM). About 50 participants from 18 different companies listened to the lectures on the latest trends in hydraulic drive technology. 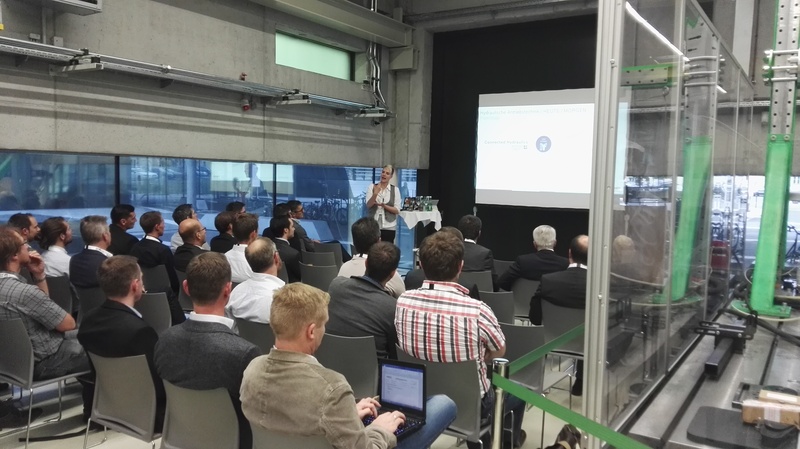 Ms. Janette Kothe from BOSCH Rexroth reported in a very exciting lecture with live demonstration on “Connected Hydraulics in Practice: Industry 4.0 Enablement of Autonomous Axes and IoT Solutions for Predictive Maintenance”. Then Bernd Winkler from LCM informed the guests about the latest “Hydraulic Drive Solutions TODAY and TOMORROW”. After the two lectures the participants were able to devote themselves to the exchange of information on real demonstrators with bread and beverages. We are happy about the successful event. We are going to plan similar events in the future.